High-performance dense linear algebra algorithms and implementations, shared-memory/multicore parallel computing, scientific computing. Field G. Van Zee. BLIS. The University of Texas at Austin, 2019. Field G. Van Zee, Ernie Chan, Robert van de Geijn. libflame. The University of Texas at Austin, 2018. Field G. Van Zee. libflame: The Complete Reference. lulu.com, 2011. Nightly-compile draft. ACM Transactions on Mathematical Software (TOMS), submitted. ACM Transactions on Mathematical Software (TOMS), 44(1):7:1--7:36, 2017. ACM Transactions on Mathematical Software (TOMS), 42(2):12:1--12:19, 2016. ACM Transactions on Mathematical Software (TOMS), 41(3):14:1--14:33, 2015. ACM Transactions on Mathematical Software (TOMS), 40(3):18:1--18:34, 2014. Journal of Parallel and Distributed Computing, 72(9):1134--1143, 2012. Formal Aspects of Computing (17 January 2012), pp. 1--13. ACM Transactions on Mathematical Software (TOMS), 39(1):2:1--2:32, 2012. ACM Transactions on Mathematical Software (TOMS), 38(1):1--17, 2011. IEEE Computing in Science & Engineering, 11(6):56--62, 2009. ACM Transactions on Mathematical Software (TOMS), 36(3):1--26, 2009. ACM Transactions on Mathematical Software (TOMS), 34(2):1--29, 2008. ACM Transactions on Mathematical Software (TOMS), 32(2):169--179, 2006. Tyler M. Smith, Robert van de Geijn, Mikhail Smelyanskiy, Jeff R. Hammond, Field G. Van Zee. Proceedings of the 28th IEEE International Parallel & Distributed Processing Symposium (IPDPS), 2014 (Phoenix, Arizona). FLAME Working Note #85. The University of Texas at Austin, Department of Computer Sciences. Technical Report TR-17-03. 2017. Field G. Van Zee, Tyler Smith. FLAME Working Note #81. The University of Texas at Austin, Department of Computer Sciences. Technical Report TR-16-17. 2016. Tyler Smith, Robert van de Geijn, Mikhail Smelyanskiy, Jeff R. Hammond, Field G. Van Zee. FLAME Working Note #71. The University of Texas at Austin, Department of Computer Sciences. Technical Report TR-13-20. 2013. FLAME Working Note #69. The University of Texas at Austin, Department of Computer Sciences. Technical Report TR-13-03. April 27, 2013. FLAME Working Note #66. The University of Texas at Austin, Department of Computer Sciences. Technical Report TR-12-30. November 15, 2012. FLAME Working Note #60. The University of Texas at Austin, Department of Computer Sciences. Technical Report TR-11-36. October 18, 2011. FLAME Working Note #53. The University of Texas at Austin, Department of Computer Sciences. Technical Report TR-10-37. October 29, 2010. FLAME Working Note #41. The University of Texas at Austin, Department of Computer Sciences. Technical Report TR-10-04. January 30, 2010. FLAME Working Note #38. The University of Texas at Austin, Department of Computer Sciences. Technical Report TR-09-17. May 27, 2009. FLAME Working Note #31. The University of Texas at Austin, Department of Computer Sciences. Technical Report TR-08-20. April 17, 2008. FLAME Working Note #26. The University of Texas at Austin, Department of Computer Sciences. Technical Report TR-07-50. September 19, 2007. FLAME Working Note #25. The University of Texas at Austin, Department of Computer Sciences. Technical Report TR-07-41. August 22, 2007. FLAME Working Note #24. The University of Texas at Austin, Department of Computer Sciences. Technical Report TR-07-37. July 31, 2007. FLAME Working Note #16. The University of Texas at Austin, Department of Computer Sciences. Technical Report TR-05-15. April 20, 2005. Tze Meng Low, Kent F. Milfeld, Robert A. van de Geijn, Field G. Van Zee. FLAME Working Note #15. The University of Texas at Austin, Department of Computer Sciences. Technical Report TR-04-50. December 2004. FLAME Working Note #13. The University of Texas at Austin, Department of Computer Sciences. Technical Report TR-04-43. October 12, 2004. The University of Texas at Austin, Applied Research Laboratories. Technical Letter ARL-TL-EV-03-18. 2003. The University of Texas at Austin, Applied Research Laboratories. Technical Letter ARL-TL-EV-03-05. 2003. Department of Computer Sciences, The University of Texas at Austin. In Robert A. van de Geijn and Paolo Bientinesi, editors, Developing Linear Algebra Algorithms: Class Projects for Spring 2002. An Applied Statistics research project sponsored by the Applied Research Laboratories, The University of Texas at Austin. 2001. 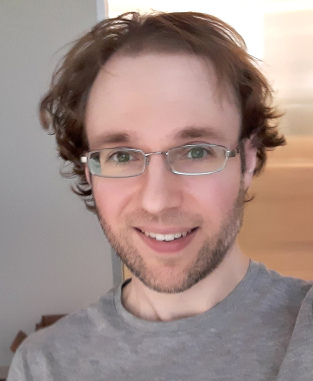 Since June 2006, I have been employed full-time as a researcher and software developer, under Robert van de Geijn, tasked with continuing my work with the Science of High-Performance Computing group (formerly known as the FLAME group) to produce and maintain high-performance linear algebra libraries. From June 2004 to May 2006, I served as a graduate research assistant on the FLAME working group with my other colleagues, led by Robert van de Geijn. The FLAME project is an effort to explore, refine, and spread the use of a set of verifiable methods which facilitate the derivation and implementation of high-performance algorithms for various linear algebra operations such as those commonly obtained from BLAS and LAPACK. In November 2003, I was one of a fortunate handful of applicants who was accepted into the Master's program in Computer Sciences at the University of Texas at Austin for spring 2004 admission. Needless to say, I was thrilled to get an opportunity to develop my research career as a computer scientist amongst UT's top-notch graduate students and faculty. From September 2000 to August 2004, I worked at the Applied Research Laboratories for the Environmental Sciences Laboratory. I was employed as an undergraduate student associate and then a graduate research assistant in the research and implementation of passive sonar processing algorithms, with a focus on adaptive beamforming. Among other duties, I maintained my parallel frequency-domain beamformer, implemented with MPI and formally derived using elements of the FLAME approach (see ARL-TL-EV-03-18 above). If you need a good book with a laughing-out-loud sense of wit and humor, try Miss Wyoming by Douglas Coupland, or any of Coupland's novels for that matter. Other recommendations: Generation X, Shampoo Planet, Microserfs, Polaroids from the Dead, Life After God, Girlfriend in a Coma, All Families Are Psychotic, Hey Nostradamus!, Eleanor Rigby and JPod. Visit coupland.com for the official website for Douglas Coupland. Jenny Holzer is a contemporary American artist who aims to integrate her socially thought-provoking textual art into public spaces. Some of her more famous pieces are titled Truisms (1978-1983), Survival (1983-1985), and Living (1980-1982). If you enjoy reading the Holzer works cited above, you may enjoy my personal art project, text as art. The idea is similar in concept to the pieces found in Truisms and Survival, though without the public presence that Holzer's work is known for. Do you have CPU cycles to spare at home or work? Try donating your computing resources to the folding@home project, managed by the PANDE Group of the Chemistry Department at Stanford University. I advocate participation (over other distributed computing projects such as seti@home) because I believe understanding the folding of proteins directly benefits the study of biology and medicine, and thus humankind.